Most foreign dividend withholding tax reclaims need two key pieces of evidence. The first is confirmation from your tax office that you are entitled to the payment at the reduced treaty rate. For countries that have forms for WHT reclaims, they usually want the original forms stamped by your tax office. Those that don’t have official forms may may require a letter. The second is proof that the dividend you received had a higher rate of withholding tax applied to it than is set out in the relevant tax treaty. This is sometimes more awkward, since your stocks are usually held in a nominee account and you may not have received the original dividend tax voucher. You will need to approach your broker – or possibly their custodian or the original dividend paying agent – for some paperwork to confirm what rate of tax was withheld. Begin with your broker and see what they say. Unfortunately, it’s possible that some firms charge for this, which may mean that getting the evidence to secure a refund costs too much to be worthwhile. For America, you should complete the W-8BEN [PDF] in advance, to allow your dividends to be taxed at the 15% treaty rate rather than the full 30%. If you do not complete the form in advance but discover the error before the end of the same tax year, you may simply be able to complete the W-8BEN and request a refund of the additional withholding tax from the paying agent. 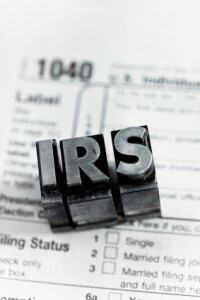 If you do not resolve the problem in time, the IRS guidance is to complete a US income tax return and request a refund. This will usually be a 1040NR [PDF] but may be the simplified 1040NR-EZ [PDF] if you meet certain conditions. For Canada, pre-emptive relief is available through the NR301 form, but unfortunately this is not as widely implemented by brokers as the W-8BEN form (two brokers in the UK that have mentioned that they implement this are AJ Bell Youinvest and Redmayne Bentley). Alternatively, you can reclaim withholding tax by completing the NR7-R form. The standard treaty rate is 15%, versus 25% without relief. For France, you require a Form 5000 [PDF] to establish your residence status and a Form 5001 [PDF] to reclaim the withholding tax. As outlined in the guidance notes [PDF], completing form 5000 in advance should enable you to receive dividends with only the 15% treaty rate deducted at source. For Spain, a Form 210 [PDF] is used (available in Spanish only). Since Santander has a large number of UK shareholders, it has an explanation of the process here [PDF]. Apparently, a local tax representative is required to file the withholding tax reclaim. For Switzerland, UK residents need to complete a Form 86. There are different forms for other nationalities. The standard Swiss withholding tax is 35% (versus 15% in the treaty with the UK), so this one is particularly worth reclaiming, but unfortunately the process has become more bureaucratic in recent years. For Germany, the relevant information is on the tax office website here, where the Kapitalertragsteuerstattung claim form can be downloaded. For Ireland, there is an explanation of the dividend withholding tax system here. To claim a lower rate of tax at source requires the Non-Resident Form V2A [PDF], while DWT Claim Form 1 [PDF] is used to claim refunds. For Sweden, the standard withholding tax rate is 30%, but this falls to 5% for UK residents under the DTA. Reclaims can be made using form SKV3740 [PDF]. A reader of this site says the process is straightforward. For Finland, the standard withholding tax rate of 30% falls to zero for UK residents under the DTA. Reclaims require a form 6161e to be completed by HMRC and a 6164e by the claimant (or a 6167e if there are multiple dividends). Relief may not be available for dividends paid into a Isa, since the form asks for certification that the income has been taxed in your country of residence. A reader says that the Finnish tax authorities are slow – refunds may take a year – but not obstructive. The HMRC Double Taxation Relief Manual may give useful information on how to begin a withholding tax claim for other countries. From the country list, select the relevant country. The section you need is typically called something like ‘Relief From Tax’ or ‘Claims Procedure’, although it varies by country. If you’re familiar with the procedure for any other countries, please let me know the specifics and I will add them to the list. If your stock broker won’t help and the prospect of tackling some of these forms puts you off, it may be worth consulting a decent accountant or tax adviser. They will be able to do the work for you, albeit for a fee. There are also specialised companies that will carry out withholding tax reclaims for you, at least where the dividends are being paid from companies in major countries such as the US, France or Germany. However, the feedback on many of these agencies seems to be quite negative, so investigate thoroughly before signing up to one.